Since 1960, AI researchers have worked on intelligent and reactive architectures capable of managing multiple events and acts in the environment. This issue is part of the Robotics domain. An extraction of meaning at different levels of abstraction and the decision process must be implemented in the robot brain to accomplish the multimodal interaction with humans in a human environment. This paper presents a semantic agents architecture giving the robot the ability to understand what is happening and thus provide more robust responses. 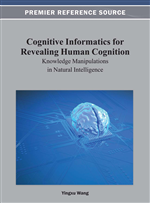 Intelligence and knowledge about objects like behaviours in the environment are stored in two ontologies linked to an inference engine. To store and exchange information, an event knowledge representation language is used by semantic agents. This architecture brings other advantages: pervasive, cooperating, redundant, automatically adaptable, and interoperable. It is independent of platforms. The study of intelligent systems have been done using multiple technologies in different scientific domains: Multi Agent systems (MAS), Ambient Intelligence (AmI), Architecture Modeling (AM), Artificial intelligence (AI), Formal logic (FL), Knowledge Representation Languages (KRL) from Description Logic (DL), Knowledge Management (KM), Information Retrieval (IR), Multi Agent Systems (MAS), Multimodal Interaction (MI), Human Robot Interaction (HRI) and Cognitive Informatics (CI). As Minsky said and Global AI researchers work now, intelligence or powerful reasoner will come from mixed technologies managing environment data fully or partially observable, deterministic or stochastic, episodic or sequential, dynamic or static, symbolic, possibilistic or probabilistic, in space and time. Our approach mixes all perceived events in a structured semantic architecture. Lots of architectures have been designed in the aim to be embodied in a robot, in a house, in the city or to simply bring an intelligent software component into a system. We focus on intelligent architecture integrating semantic agents, semantic services as structural components, ontology as knowledge base (Guarino, 1995), inference systems and KRL as communication protocol. Domain ontologies offer rich representations of machine-interpretable semantics ensuring interoperability and integration (Obrst, 2003) because of the non explicit information processed by existing architectures. The genericity of the components is a key of success of designing non dedicated applications opened to several domains and mixing different technologies. MAS is a useful paradigm for distributed and ambient intelligence. It is an architectural choice permitting to model widely open, distributed and ubiquitous architecture (Macal & North, 2006; Allan, 2009). Agents are autonomous programming objects with the capacity to communicate. Intelligent robots often need awareness model and user fusion model, using KRL in a software agents’ organization permit to these robots to reason (Blasch et al., 2006). This design view is very close to our ideal robotics platform. We will adapt this work to Human Robot Interaction. Web services were designed by the W3C consortium in the goal to standardize software services in a distributed and interoperable way on the World Wide Web. They are connected using the Simple Object Access Protocol (SOAP) for Service Oriented Architecture (SOA) in XML format (W3C, 2007). To obtain semantic agents and services, a representation language component was required: ability to query, store or produce representative knowledge. Our objective is to really and simply represent and store the semantic events to be able to extract the meaning of a situation. Ontology Web language v2 (W3C, 2009) permits to describe relationships using classes, individuals, properties in a hierarchical structure called domain ontology. It appears to be a useful knowledge base and may be coupled to a reasoner. Reasoners are inference systems based on description logic like KAON2 (n. d.), Pellet (Clark & Parsia, 2004), JESS (2008), Fact++ (2007), and so on to realize the matching operation. SRWL (W3C, 2004) is a language that combines OWL-DL with RuleML (2004) to add rules into the ontology.